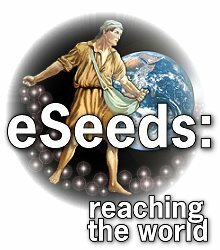 eSeeds For The Garden of Your Heart: Why Praise The Lord? All of Scripture is punctuated with outbursts of “praise.” The reason? Praise rises spontaneously from an internal attitude of joy which is in the heart and life of the people of God. The Bible speaks of man being created to rejoice in God’s gifts and God’s grace and God’s goodness. Praising God should be as natural as breathing and as regular as the beating of our hearts. Perhaps one of the significant aspects of “praising” is that it implies a close relationship with the one being praised. When we praise God, we are letting Him know that we are aware of and recognize His presence in our lives, that we are grateful for His benefits and blessings - big and small - and, that we are dependent on Him for all things. Consider this: If you give someone a gift, and they do not recognize you for it, do you feel unappreciated? Along with praising God, however, is the duty to exalt His name. Exalt, in Scripture, means to elevate, to glorify and to recognize the place and power of the one being exalted. When we exalt God, we acknowledge His Lordship in our lives and recognize that He is above all, in all, and has control of all. As we lift Him up above all others, we naturally bow down in humility before Him. “Let them praise the name of the Lord, for His name alone is exalted,” said the Psalmist. Strange, isn’t it, how the names of athletes and entertainers are more highly praised and exalted than God’s name. How very sad! But the day is coming when every knee will bow, and every tongue will confess that Jesus Christ is Lord! Prayer: Lord, You are so thoughtful and generous. All that we are and have is because You care. Thank You! In Jesus’ Name, Amen. Scripture for Today: Let them praise the name of the Lord, for His name alone is exalted.